The mount holder is able to adhere not only to smooth surface like your windscreen, but also attach itself firmly some textured surface like your dashboard. Even in the hottest of summers and coldest of winters, it always stay put. 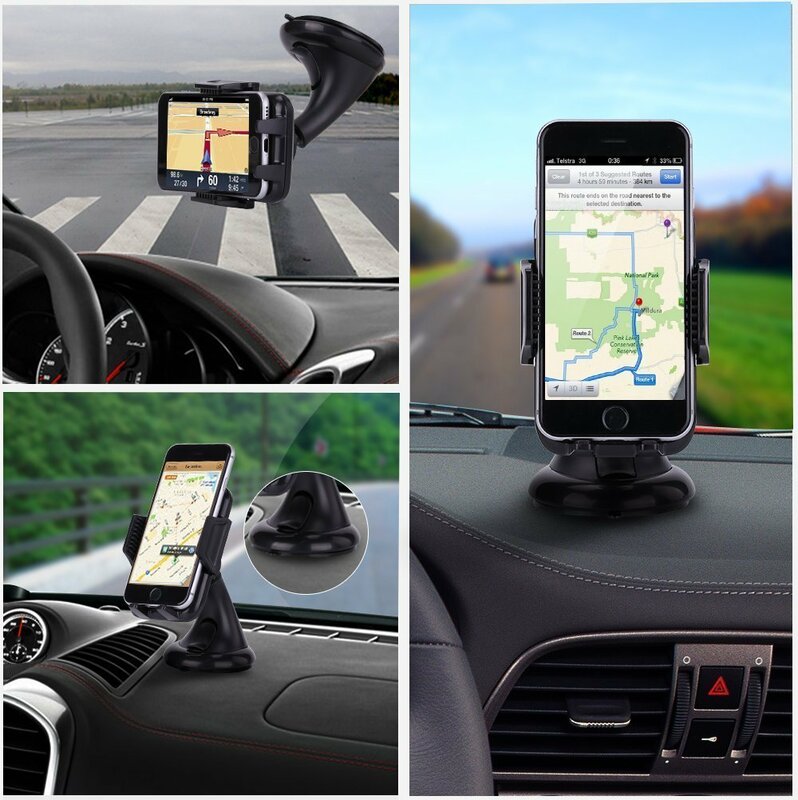 Easy Installation: Set up your cell phone mount holder, install your phone and drive! Extra strong suction cup with sticky gel adhere to windshield, dashboard and other smooth or textured surfaces.